INDUSTRY co.id - The social, economic, and cultural implications of Meikarta's development will be enormous for Bekasi and its people. The existence of Meikarta will affect the various dimensions of social life of Bekasi society. With a total of thousands of hectares of land used and investment value of hundreds of trillions of rupiah, Meikarta is certainly not just an ordinary residential project. 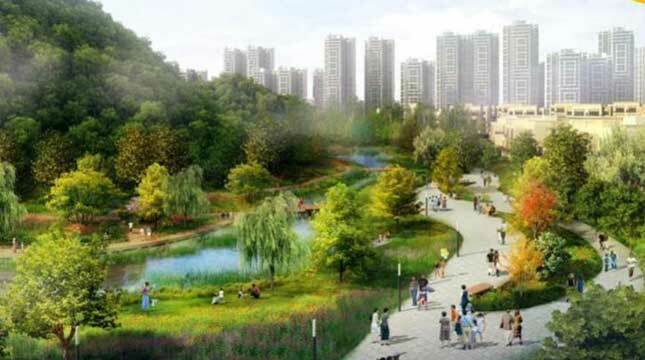 Perhaps even this ambitious Lippo project will become the core of Bekasi civilization. The key transformation of Bekasi community life forward. Just look at the investment value reached 278 trillion rupiah. Assuming the average of Bekasi Regency's annual budget of 5.5 trillion rupiah, the value of Meikarta's investment is equivalent to 50 years of APBD of Bekasi Regency. Fantastic! If only the Bekasi district government that has the budget would certainly be beneficial to improve the welfare of its people. Both for the construction of public facilities and economic stimulus of the people. But of course the impact of people's welfare from investment Rp278 trillion that we can not expect. Meikarta Investment is a business whose orientation is certainly not on the welfare of society. But on profits whose flow of expediency is directed as much as possible leads to the owners of capital. Meikarta's claim as Jakarta's rival has been echoed. In fact, Meikarta will be called the city with the most complete infrastructure in Southeast Asia. Various health facilities, education, economic center will stand upright there. The question is, where are the people of Bekasi? Earlier, the statement of Vice Governor of West Java, Deddy Mizwar in response to Lippo's activities which has been offering the Meikarta before taking care of licensing to the province needs to be a record. Deddy rate Lippo as if to create a State within the State. Likewise, the Government of Bekasi Regency also made a statement that some of Lippo's development permits have not been completed yet. That is, Lippo has ignored the government as a representation of the State. So the question is, if the government and the rules alone are violated, what about the people? Above all, the discourse of Meikarta needs to be a serious concern of all elements of Bekasi society. Because after all, Meikarta will have a significant effect on the future of Bekasi and its citizens.